It is very easy. 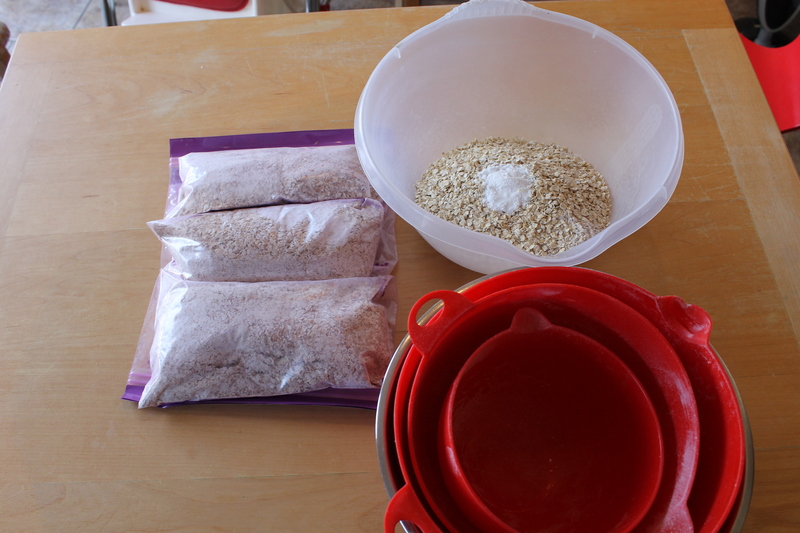 I make batches of the dry ingredients, where I weigh them all out and bag them up. And because I’m keeping it all wholemeal, I don’t add the 50g plain flour, I just use 400g wholemeal flour. 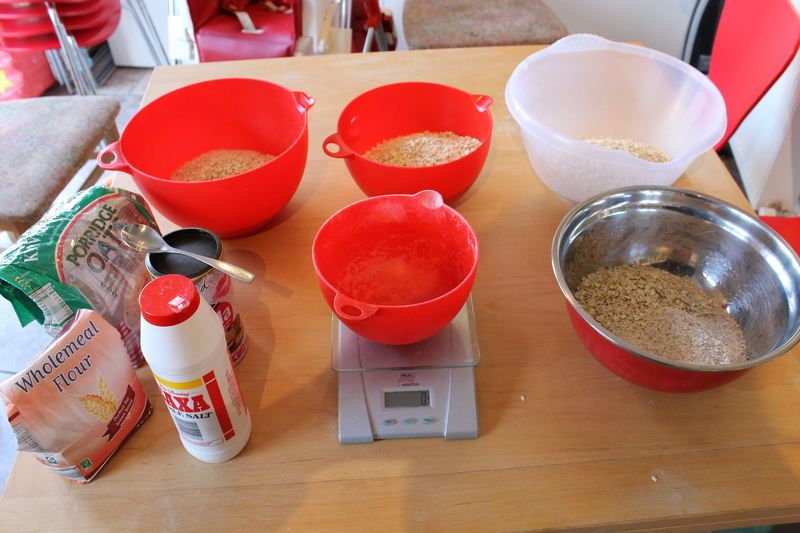 Dry ingredients are 400g wholemeal flour, 50g porridge oats, 2 level teaspoons of bicarbonate of soda and a pinch of salt. 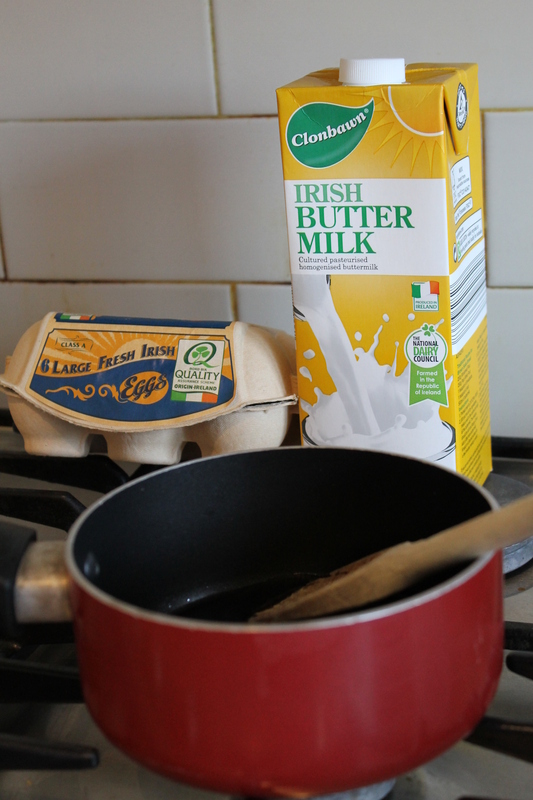 And then when I want to make a loaf, I just take out a bag of the dry ingredients and pour into a bowl, put a tablespoon of molasses and dessert spoon of sunflower oil into a pot and warm a bit to melt, stir in 500ml buttermilk and then add that mix and 2 eggs to the dry ingredients. Super easy! And I line my loaf tin with this magic greaseproof paper. I love it. I found it in Dealz a while back, and it is the only greaseproof paper I’ve used that really is non-stick. I used to spend ages trying to peel greaseproof paper off loafs of bread, homemade pizza bases or cookies that all got stuff to the bottom. And then I found this, and I LOVE love it! Then pour the mix into the tin and pop it into the oven at 160C for 45 minutes, then tip it out of the tin and leave in the oven for another 15 minutes and take it out. This is the easiest brown bread I’ve made – and it has turned out delicious every single time! Posted on March 7, 2015 March 3, 2015 by mamafeeshappyhealthyhomePosted in BakingTagged baking, brown bread, healthy food, recipe, Supervalu. Previous Previous post: Where’s my mind gone? !